New Mexico Social Security Disability FAQs | The Injury and Disability Law Center , there were approximately 9.6 million self-employed workers during 2016, including entrepreneurs, business owners, and freelancers. Self-employment has numerous advantages, such as having more freedom in the workplace and the ability to work from home. However, self-employed individuals sometimes wonder if they can still qualify for Social Security Disability Insurance (SSDI) should they suffer from an injury or illness that prevents them from working. The good news is, self-employed workers can still receive these benefits, under certain circumstances. They have paid Social Security taxes. While employees pay into the Social Security system automatically when taxes are deducted from their paychecks, self-employed workers must pay these taxes on their own. They have accurately reported their income. Self-employed individuals must accurately report their earnings when filing federal income taxes. They have worked long enough to qualify for benefits. All workers are required to pay Social Security taxes for a number of years before they can collect benefits in the event of a long-term disability. While the amount of work necessary to qualify for disability benefits varies with a person’s age, they are typically required to have worked for at least five out of the last ten years. They have a qualifying disability. Just like everyone else pursuing SSDI benefits, self-employed individuals must prove that they have a disability that is expected to last for over a year. Furthermore, this disability must prevent them from continuing to work. They can no longer engage in substantial gainful activity. Substantial gainful activity (SGA) means that a person is engaged in significant physical or mental labor. For 2019, SGA is defined as earning $1,220 or more per month from employment. If you’ve been self-employed, and qualify for SSDI benefits due to an injury or illness, an experienced disability benefits attorney can help you receive the compensation you deserve. To learn more, contact the Injury & Disability Law Center by clicking the Live Chat button on this page. 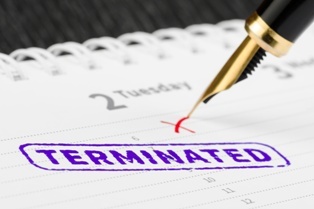 What Could Cause the Termination of My Social Security Disability Insurance Benefits? What's the Social Security Disability Sequential Evaluation Process? What is the Social Security Administration’s definition of disabled? An individual must be considered disabled in order to qualify for Social Security disability benefits. The Social Security Administration (SSA) has a strict set of requirements that must be met before disability benefits will be paid. Work Status. Social Security disability applicants cannot qualify for benefits if they are engaged in substantial gainful activity (SGA). For 2019, any individual earning more than $1,220 a month is considered to be engaged in SGA. Most claimants have no difficulty complying with the work status requirement since they have already stopped working due to their disability. Severity Assessment. To qualify for disability payments, a claimant’s impairment must be severe enough to completely interfere with basic work-related activities. It also must last, or be expected to last, at least 12 months. Disabilities that only mildly interfere with an applicant’s ability to work for less than one year are unlikely to be considered severe. Disabling Conditions. The SSA has established an extensive list of medical conditions that may qualify claimants as disabled, known as the listing of impairments. If the claimant’s medical ailment is found in the listing of impairments, it will typically qualify for disability benefits. Even if the medical condition isn’t specifically listed, it may still qualify for benefits if it is of equal severity to an ailment that is on the list. Previous Relevant Employment. The next step in the sequential evaluation process involves determining the claimant’s ability to perform past relevant work, which relies upon their residual functional capacity (RFC). Determining RFC involves assessing the claimant’s medical records to discover which tasks may still be performed. If the applicant is found to be incapable of doing the lightest possible work they have performed previously, the claim will move on to the final step. Performing Other Work. In the final step of the assessment process, the SSA considers the applicant’s education, work experience, and age when determining the claimant’s ability to perform other work. This step may involve consulting a vocational expert to determine the jobs that a claimant may be capable of performing. 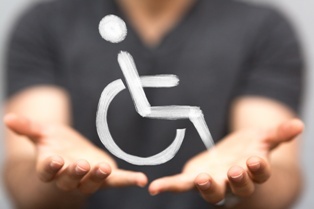 As you can see, the SSA considers many factors when determining whether or not a claimant qualifies as disabled. If you are entitled to SSA benefits, an experienced disability benefits attorney can help you receive the compensation you deserve. To learn more, contact the Injury & Disability Law Center by clicking the Live Chat button on this page. 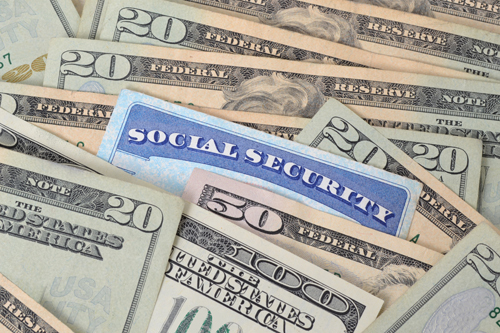 Can I Get Social Security Disability Benefits If My Condition Isn't Listed In The Blue Book? While Social Security Disability Insurance (SSDI) recipients typically continue to receive benefits for many years, some actions may cause these benefit payments to stop. Returning to work. The most common reason SSDI benefits end is because the recipient went back to work. Returning to work can cause SSDI benefits to stop if the recipient is engaged in substantial gainful activity (SGA). The primary determinant of whether or not employment qualifies as SGA is the amount of money the worker is being paid. For 2019, earnings in excess of $1,220 ($2,040 for blind individuals) per month qualify as SGA, even if the work is only part-time. Reaching retirement age. Individuals are not permitted to receive Social Security disability benefits and Social Security retirement benefits simultaneously. Upon reaching full retirement age, currently 66 years old, these benefits will stop. SSDI recipients instead begin receiving Social Security retirement payments when they reach full retirement age. Since full retirement benefits are typically equal to SSDI disbursements, the total benefit payment won’t change. Incarceration. Confinement to a penal institution upon conviction for a crime results in the cessation of SSDI benefits. These benefits are suspended after 30 days of incarceration, and are subsequently reinstated during the month following release from confinement. Medical improvement. The Social Security Administration (SSA) periodically reviews the case of each beneficiary, typically every three years. However, if the recipient is over the age of 50, or if the medical condition is unlikely to improve, a review may only be conducted every seven years. If a recipient’s disabling medical or psychiatric conditions improve, the SSA may determine that the recipient is no longer disabled. The rules governing the administration of SSDI benefits are extremely complicated. If you’re entitled to receive SSDI benefits, an experienced disability benefits attorney can help you receive the compensation you deserve. To learn more, contact the Injury & Disability Law Center by clicking the Live Chat button on this page. 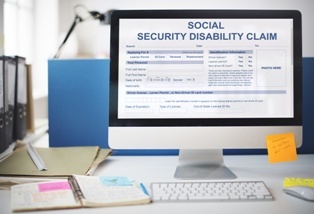 When an individual applies for disability benefits with the Social Security Administration (SSA), the agency must determine which tasks the applicant is still capable of performing. To do so, the SSA will complete an assessment of the applicant’s Residual Functional Capacity (RFC). Your doctor knows you best. If your RFC form is filled out by a disability consultant at the DDS, it will be completed by someone who has never physically examined you. Instead, the consultant will reference your medical records to determine your functional abilities and restrictions. Obviously, an RFC form completed by your doctor is likely to provide a better picture of your overall condition than one completed by someone you’ve never met. You need a detailed RFC record. To maximize your probability of receiving sufficient benefits, your file must properly reflect the physical limitations your injuries have caused. How much you can lift, how long you can walk and stand, your level of flexibility, and how long you can sit are all crucial factors in determining compensation. No one has a better sense of your capabilities and limitations than your treating physician. Since your doctor understands how your condition is impacting you better than anyone, he can be an important partner in the pursuit of your disability claim. If you hire a disability lawyer, your attorney can send the necessary RFC forms to your physician to collect the required information regarding your medical condition. Social Security attorneys are experienced in working with physicians and may be able to help with the completion and filing of the RFC form. To learn more, contact the Injury & Disability Law Center by clicking the Live Chat button on this page. What are the differences between SSDI and SSI? Since the acronyms for Social Security Disability Insurance and (SSDI) Supplemental Security Income (SSI) are so similar, many people confuse these two programs. However, they are distinct from one another, with different objectives. If you’re entitled to disability compensation, it’s important that you apply for the correct program to avoid wasting time in pursuit of a benefit you aren’t qualified to receive. Benefits are provided to eligible individuals regardless of their assets or unearned income—interest, investments, or a spouse’s income. However, income from work is strictly limited for those receiving Social Security disability payments. Disability benefits are subject to a five-month waiting period, starting from the date of disability. Medicare coverage for health benefits is subject to a two-year waiting period from the date of entitlement (the month a disabled individual became entitled to receive Social Security disability benefits). 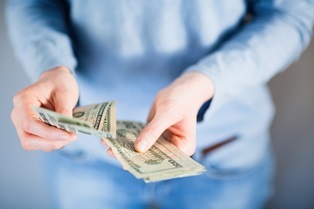 The monthly Social Security disability payment amount is based upon covered earnings—the earnings on which a disabled worker paid Social Security taxes. These covered earnings are averaged, and a complicated formula is applied to calculate the monthly benefit. SSI is a means-tested benefit program, requiring participants to meet a strict set of financial requirements. Claimants may start receiving benefits the same month they file—there is no waiting period. Medicaid health coverage begins as soon as SSI benefits are approved. The monthly payment amount is determined by subtracting countable income from the Federal Benefit Rate (FBR), which is the maximum federal monthly SSI payment amount. Those with countable income over the FBR are not eligible for benefits. If you qualify for Social Security Disability Insurance or Supplemental Security Income benefits, an experienced disability benefits attorney can help you receive the compensation you deserve. To learn more, contact us today by clicking the Live Chat button on this page. What is the Compassionate Allowances program? The process of qualifying for Social Security disability benefits can be extremely long and difficult. Compassionate Allowances are used to identify medical conditions that qualify for Social Security disability benefits, expediting the application process in order to provide benefits as quickly as possible. When you must file a claim for Social Security Disability Insurance (SSDI), it's helpful to understand how the claims process works and the rules that apply to these cases. Knowing how the Social Security Administration (SSA) evaluates a person’s medical condition or illness to determine disability helps predict what might happen with your claim. We explain the Social Security Sequential Evaluation Process that's used to evaluate whether or not you're entitled to benefits. In order to be eligible for SSDI benefits, your medical condition must meet the requirements of a disability. It's defined as the inability to engage in any gainful activity due to a medically-determinable physical or mental impairment which is expected to last for at least 12 months or results in death. The Social Security Sequential Evaluation is a series of five steps in the process used to determine whether you're disabled. At each stage, the SSA worker assigned to your claim asks questions pertaining to eligibility. Step 1. Are you working above the SGA level? SGA stands for Substantial Gainful Activity, which is working at a job. For example, in 2017, the SGA level income amount is $1,170 per month. Step 2. Is your physical or mental condition severe? Your medical condition or illness must be severe enough to meet the definition of a disability, as discussed above. To be severe, the condition must interfere with basic work-related activities. Step 3. Does your medical condition meet or equal the severity of the Listing of Impairment? The SSA lists many medical conditions and illnesses in its Listings of Impairments, which is also known as the Blue Book. If you can prove your condition is included in the Listing or is substantially as severe, you can establish a disability. Step 4. Can you perform any of your past relevant work? If the answer is no due to your condition, it furthers your claim. Step 5. Can you make an adjustment to any other work? The SSA has the burden of proving that work, other than what you performed in the past, exists in sufficient number; and that you can adjust to another form of employment given your age, educational level, work experience, and impairment. 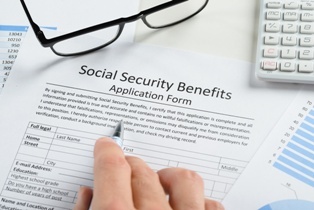 Do you have questions about filing your application for SSDI benefits? Has your claim been denied? Our experienced Social Security disability lawyers are here to help you prove that you are disabled under Social Security Administration laws. We have more than two decades of experience guiding our clients through the process of obtaining the SSDI benefits they deserved. To discuss your situation and rights to benefits, call our office or fill out our online form to schedule a free, no-obligation consultation.